Having a hot tub at home is something you can take delight in. Soaking in a hot tub is a great way to relax after a long day from work or any tiring activity. Aside from providing relaxation and helping to relieve stress, a hot tub offers more. It can help reduce pain from muscle cramps and joint problems, lower your blood pressure and blood glucose levels, promote better sleep, make the skin healthier and more young-looking, and promote better sleep. These are only some of its many health benefits. If you have decided to have a hot tub installed in your abode, or if you already have one but need to have it repaired, a trusted residential electrician in Columbus, Ohio can lend you a helping hand. It’s nice to have your own hot tub at home, within your arm’s reach. But as it turns out, there are important electrical works to be considered and done first and foremost. And all these will need the expertise of a licensed electrician who specializes in hot tub installation and repair. You can’t settle for less when it comes to this aspect. We have a team of professional electricians who can offer you the best electrical services to make sure that your hot tub at home is grounded safely and securely. 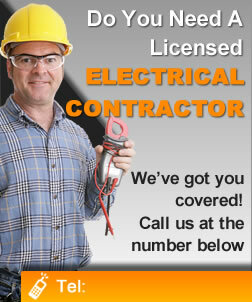 Our electricians are extremely meticulous and are keen to details. We make sure that each job is accurately done and completed with the highest quality, so you won’t have to go into future trouble for enhancements or adjustments in its electrical aspect. Your comfort and safety are our utmost priority. We want you to be able to enjoy your hot tub to the fullest, without the worry and hassle brought about by electrical issues and malfunctions.